Congratulations on the arrival of your little bundle of joy! Those beady eyes, cute little toes, soft squishy bum, and skin that feels like a breath of an angel – everything about them is just so precious. The moment you lay your eyes on them, you know you will do anything to keep them safe and happy. You know they deserve only the best, even in terms of skincare — especially in terms of skincare. Remember, your baby’s skin is just as sensitive as its soft. You need to be extremely cautious about any product you introduce to it. It is best to stay away from mainstream products that may contain parabens and other harmful ingredients. Thankfully, there are a number of responsible brands out there with high-quality, safe, and effective products perfect for your baby’s skin. That is why we are here with a complete list of the best baby products on the block. This gentle soap bar is handcrafted with love, using the safest and natural ingredients. It contains the pureness of honey, milk, and essential oils. This mild formula is specifically created to nourish, cleanse, and moisturize the skin. It forms a rich, creamy lather and leaves a subtle sweet scent behind. While milk and honey offer the nourishment, it is the lavender essential oil that gives it the antibacterial properties you expect out of any baby soap. Lavender oil has a calming effect on the mind, which means the baby will probably fall into a peaceful nap after bath. 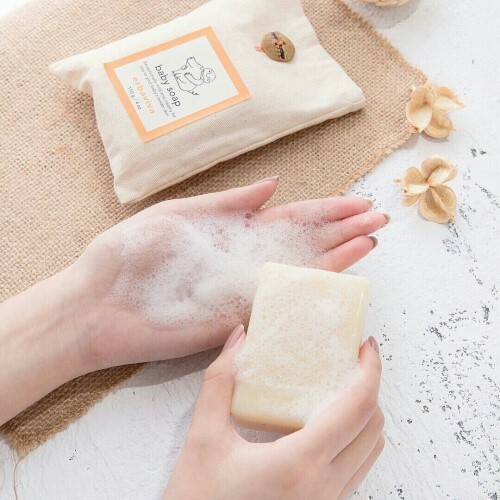 Overall, it is a perfect non-drying baby soap for all seasons. Baby skin is so delicate that even the best diapers cannot guarantee any protection against rashes. As a responsible parent, you must make sure your baby’s bum is protected against that problem. Mustela Diaper Rash Cream not just relieves rash, it can also effectively prevent it. The key ingredients are plan-based such as sunflower oil and oxeoline. It also contains a patented ingredient that is proven highly effective for diaper rash prevention. Apart from this, this rash cream contains Zinc oxide that serves as a strong protective barrier. From redness and itching to severe rashes, Mustela Diaper Rash cream is one solution for all these problems. Make it a part of the diaper change routine, and you will never have to worry about rashes again. One of the most likeable things about babies is that they smell so nice. We all know baby products have a lot to do with it. However, not all fragrances are gentle enough for the delicate baby skin. 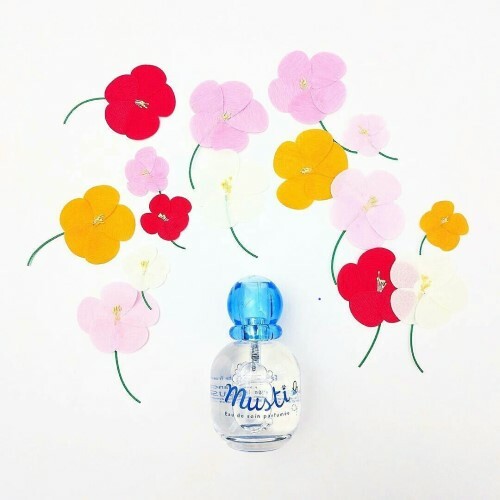 Musti Eau De Soin Spray is created with your little munchkin’s skin in mind. Free of alcohol or any harsh ingredient, this is the mildest way to keep your baby smell like sweet dreams. Composed of plant-based ingredients and honey, this spray has a sweet, floral scent, plus the dual benefit of skin softener. It has fresh citrusy notes blended with lilac, rose, and amber. Free of parabens and other toxic elements, this is a hypoallergenic formula tested and approved by dermatologists. Choosing the right shampoo for your newborn is one of the biggest challenges you have to complete as a parent. Well, worry no more. 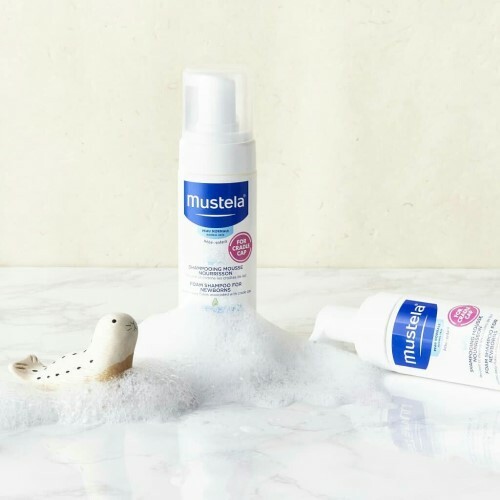 Mustela Foam Shampoo is a tear-free, mild formula that will gently get the job done for you. It is the mildest way to cleanse the delicate scalp and remove cradle cap flakes in just one wash. The moisturizing formula leaves baby hair and scalp soft like a cotton ball. Like all Mustela baby products, this shampoo is also made of plant-based ingredients. It is free of parabens and sulphates. It contains protective ingredients such as Avocado Perseose and Climbazole that keep the scalp safe and clean. It is a fragrance-free formula tested by dermatologists and pediatricians. You know you have become a parent when baby wipes become the most essential item in your bag. They are little bundles of blessings that come handy in so many situations. And due to the frequency at which we use them on our baby’s skin, it is even more important to invest in the highest quality baby wipes. That is why we trust Mustela Soothing cleansing wipes. The problem with regular wipes is that they often contain ingredients that strip away the moisture and expose the skin to various risks. 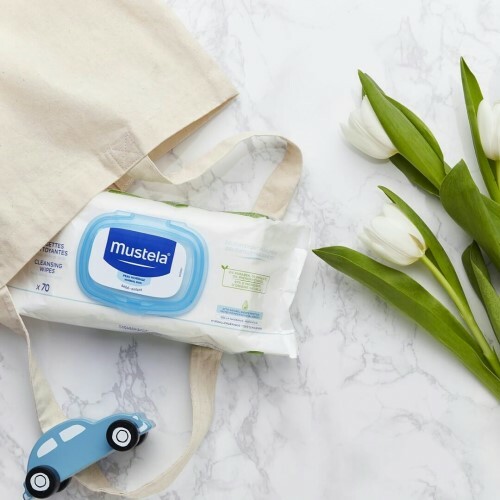 Mustela has created these moisturizing wipes that leave the skin soft and supple. It contains plant-based ingredients and the patented Avocado Perseose that make Mustela baby products better than others. With this dermatologically tested hypoallergenic formula, you can wipe all your worries away. Sophie La Girafe Baby Oil is essentially the gentlest, most nourishing formula you can find. It is created with carefully selected natural ingredients that will make your child’s skin softer than ever. It provides the essential nourishment that will make the skin healthier from within. This means it will be more immune to rashes and irritation. Key ingredients in this bottle of magic include olive oil, sunflower oil, jojoba oil, apricot kernel oil, lavender extract, and white tea. You can use this oil for a calming head or body massage. You can even use it as moisturizer or cleanser during dry weather. It is a complete baby care solution. Your cutie pie needs protection against all the environmental adversities. As important as vitamin D must be, the sun is never too nice to the little ones. A regular sunscreen can be extremely harsh for babies. If you are looking for an effective yet gentle solution, Hampton Sun Mineral is your best bet. 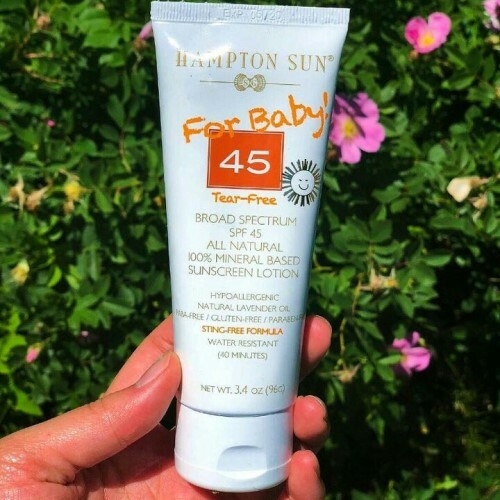 It has chemical-free SPF 45 that creates a strong barrier against UVA and UVB rays. Key ingredients that add to its effectiveness include Zinc oxide and titanium dioxide. Sunflower oil, lavender oil, and olive oil give it its skin soothing properties. It is a tested and approved formula that does not irritate eyes or skin. If you are looking for a-one solution for your baby’s skin and hair, no product can beat Mustela 2-in-1 cleansing gel. It is formulated to clean and protect the scalp and skin while cutting down the bath time. This rich moisturizing formula will leave the skin and hair smooth, soft, and hydrated. It is easy to use and creates a soft, creamy foam. 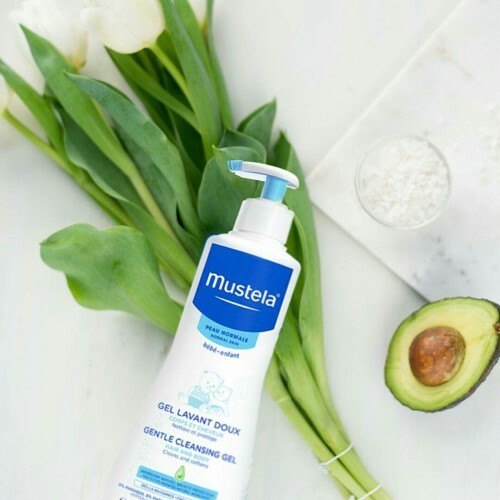 Like all Mustela products, this cleansing gel has natural plant-based ingredients packed in a hypoallergenic formula that will keep allergies at bay. The key to keeping your baby’s skin soft and smooth is to keep it moisturized. Erbaviva baby Butter does this job even during the driest of weather. It is perfect for those winter days when a regular oil or lotion just won’t work anymore. It is created from cocoa butter and organic essential oils that leave your baby smell deliciously adorable. 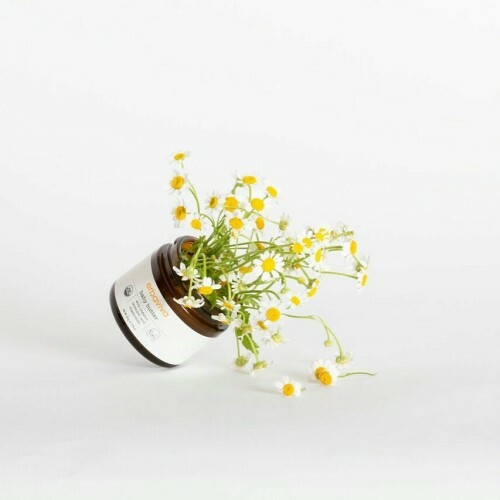 Its ingredients such as chamomile and lavender essential oils leave a calming effect on mind and body. Baby-friendly baby butters just can’t get any better than this. 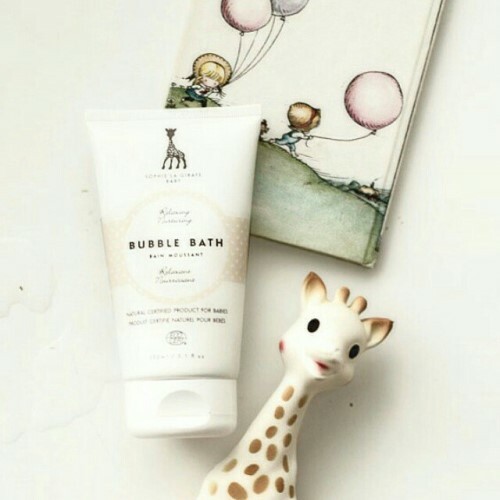 Pamper your precious one with a fun bubble bath that can also double as a great shower gel for the baby. It is a mild cleansing formula that smells heavenly and creates a rich foamy lather. A small amount goes a long way and guarantees a perfectly enjoyable bath filled with bubbles and giggles. Key ingredients include lavender water and white tea along with other organic and natural ingredients. It is a hypoallergenic formula suitable for the sensitive and dry skin as well. These are safe and effective baby products you can use without any worries. Free of chemicals and harsh ingredients, they are specially formulated for the gentle skin of your little angel. Put them in your cart and treat your child with the best the world has to offer.